Bodegas Bocopa Scoops World Design Award! We were thrilled to learn that over the weekend the fabulous Bodegas Bocopa was awarded first prize in the Wine and Spirit category at the highly acclaimed The Dieline Awards. The Dieline Awards are an international design competition that recognises the world’s best consumer packaging design and is judged on three important visual design components: Creativity, Marketability and innovation. 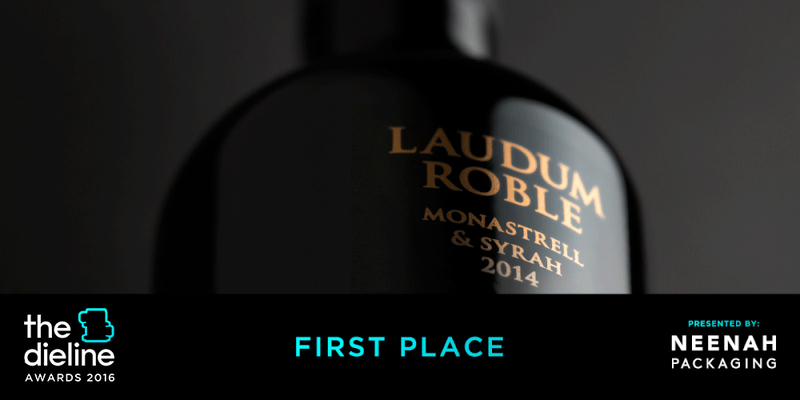 The award was in recognition of Bodegas Bocopa’s sensational Laudum Roble and its classical column-shaped bottle and the accolade coincides with this week’s launch of the new 2015 vintage. Bodegas Bocopa’s Director, Gaspar Tomás was delighted by the award and said, “…receiving this award is a great honour, because it is a recognition for our innovation, good judgement and leadership by choosing to design an exclusive bottle for our new flagship Alicante red wine, Laudum Roble”. Laudum Roble is an organic red wine made from Monastrell and Syrah andaged for 4 months in oak barrels, The blend explores the Roman and Latin character of the brand – the word Laudum is Latin for ‘praise, exaltation, excellence’. When designing the packaging Bodegas Bocopa were keen to express this heritage in the bottle design and worked with Valencia based agency Lavernia & Cienfuegos to design a bottle that attracts attention and interest from the consumer. Congratulations Bodegas Bocopa – a job very well done!